PrognoCIS - Best EMR for Pain Management Can Transform Your Practice. Pain Management EMR / EHR Software meets the specific needs of pain management specialists and pain clinics by providing pain management workflow, pre-built pain management templates including SOAP notes templates for common procedures which ensure easy documentation of pre and post operative care and specific content for patient evaluation, interventional treatments, medication management, etc. It is often integrated with Practice Management Software which enables physicians and their staff record patient demographics, manage charge capture, perform billing operations, generate reports and schedule appointments thereby dramatically improving clinical workflow efficiency of pain clinics and boosting reimbursements. 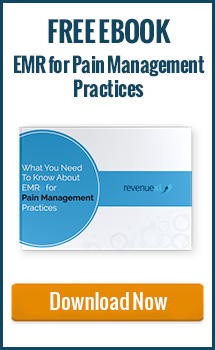 RevenueXL's EMR for Pain Management - 6 Reasons why you should not ignore it? By providing enhanced workflow, Pain Management EHR makes it simple and easy to increase your patient volume without being slowed by administrative tasks. Pain Management Software often leverages Amazon's cloud infrastructure that has been architected to be one of the most flexible and secure cloud computing environments utilizing state-of-the art electronic surveillance and multi-factor access control systems. Enables seamless communication with other medical facilities. Whether you need to share data with a laboratory, another physician or a pharmacy, Pain Management Software makes it possible. Pain Management specialists have all of the necessary patient data and notes at their fingertips. Automatic personalized notifications and patient profiles also make it easier for Pain Management specialists to build lasting positive relationships with patients and their families. Alert staff about patient health info, and decrease your liability. Keep staff aware of patient health maintenance, allergies, drug-drug interactions and more with frequent, timely updates, EMR notifications and alerts. Pain Management EHRs can improve the accuracy and efficiency of medical billing. Data can travel more quickly between insurance carriers and the pain physician. Save time and promptly see more patients thanks to automatic billing and clinical processes. Electronically send lab orders using standard lab interface to Labs. 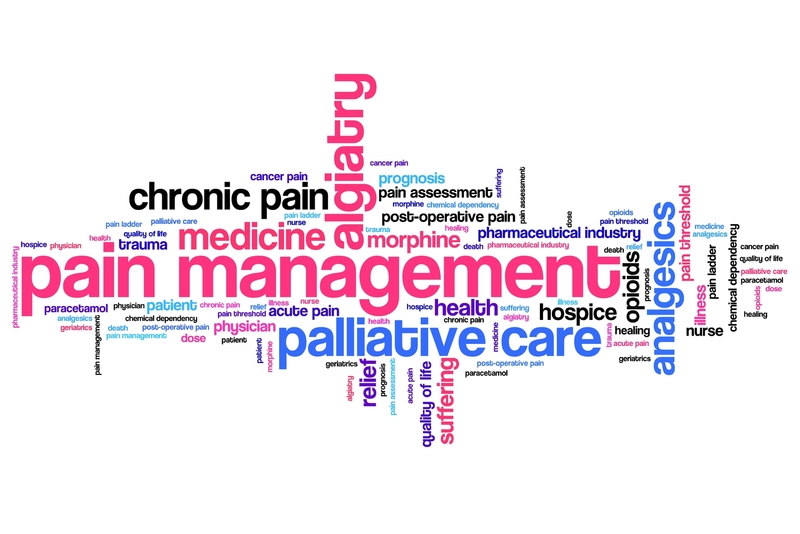 Pain management specialists will reduce the amount of time spent submitting, organizing, and locating paperwork, while simultaneously enhancing the patient care that they provide. Don’t waste time, energy, and money on EHR platforms that require extensive customization of templates. RevenueXL offers numerous physician-developed and tested Pain Management-specific EHR templates, which can be used out of the box or adapted further in order to better suit your needs. Designed to address the unique concerns of Pain Management specialists including Anesthesiologists and Physiotherapists, RevenueXL's PrognoCIS Pain Management System addresses HPI complaints including Arthritis, Bunion, Ankle Pain, Bursitis/tendonitis of the shoulder, Elbow pain, General pain, Headaches, Herpes Zoster (Shingles), Hip Pain/Arthritis, Jaw pain, Low back pain, Neck pain, Thoracic pain, etc. The cost of purchasing and installing an EHR Solution has been estimated by several studies to range from $15,000 to $70,000 per provider. Cost often varies depending on whether you implement server based EMR (on-site EMR deployment) or web-based EMR. Web-based EMR deployment, known as Software as a Service (SaaS), typically requires providers to pay a fixed monthly subscription cost. On-site deployment also requires providers to pay for ongoing costs to support and manage on-site data servers. You can expect to pay between $250 and $750 per month for a hosted Pain Management EHR depending on the brand and various add ons that you may want to implement. 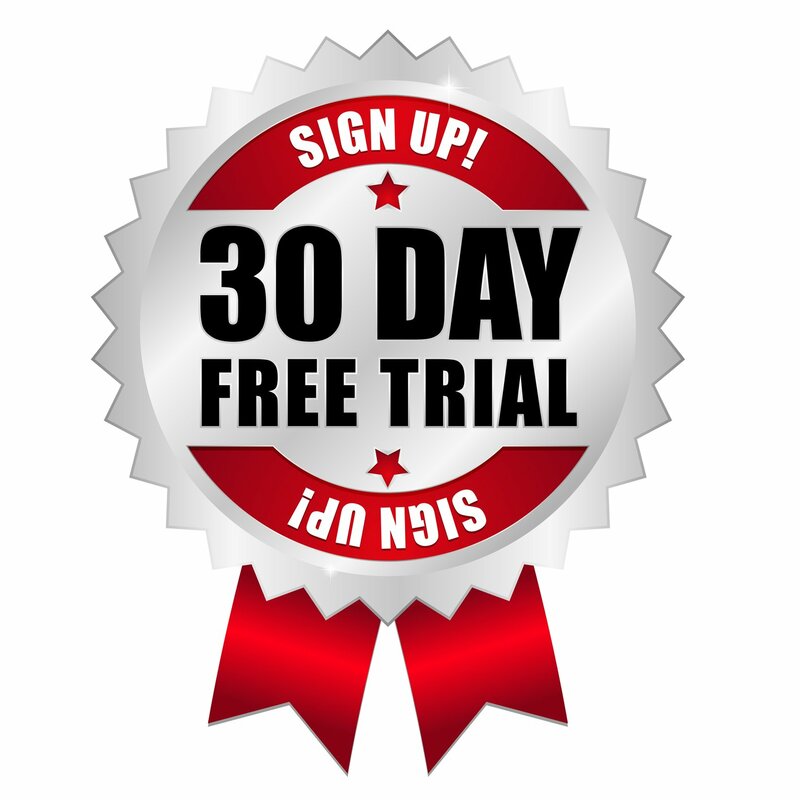 Pain Management Software System that is Dependable, Innovative, and Easy-to-Use. Offering a range of integrated practice solutions, our Pain Management EHR Software allows for greater automation in today's fast-paced healthcare environment. And because PrognoCIS EHR employs an intuitive and user-friendly interface, the formerly tiresome task of managing patient records will no longer slow you down throughout the day. PrognoCIS EHR allows you and your staff to rapidly document patient charts through a variety of data entry methods that range from "point and click" mouse work to voice and handwriting recognition. In order to best fulfill the diverse needs of Pain Clinics, RevenueXL offers EHR Solution for Pain Management that is fully customized to meet your specific needs. Our comprehensive EMR implementation services will ensure that not only various templates are customized in accordance with the requirements of your Pain Management practice, we will also customize the EMR to match the workflow in your clinic. 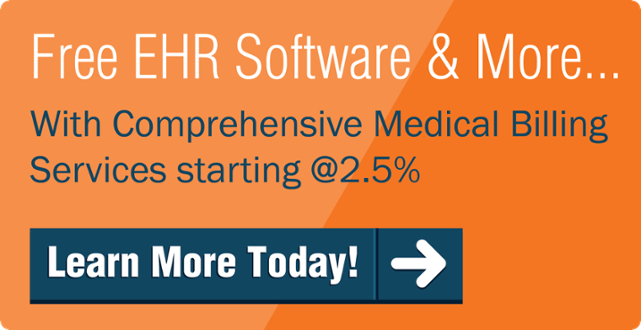 While integration between EMR and Practice Management is highly recommended, you can choose to implement our EMR for Pain Management alone and interface it with your existing medical billing software. If you would like to work with Clearing House of your choice, please let us know during the live demo, otherwise our Pain Management Software comes with several free as well as reasonably priced Clearing Houses interfaces including Assertus, Inmediata, Gateway EDI, Office Ally, Availity, Navicure & Zirmed. You could choose one of them.